Moreover, they are eager to know more! 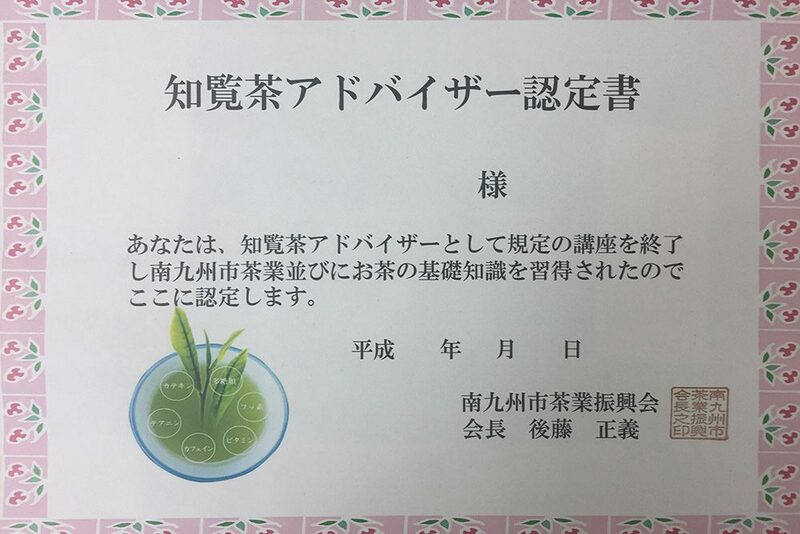 Upon completion of these lectures, such as the correct way of brewing tea and other applications for it, the attendees are granted a certificate of being able to promote tea consumption. 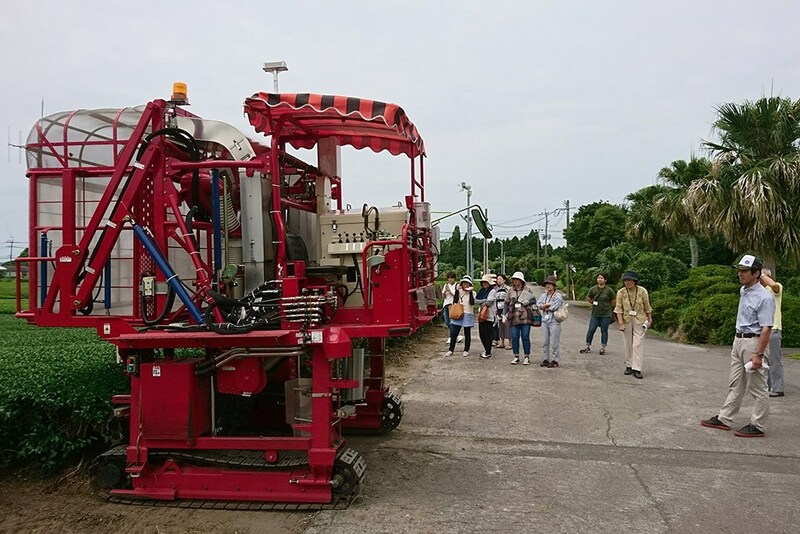 The first lecture took place on August the 18th (Sat). 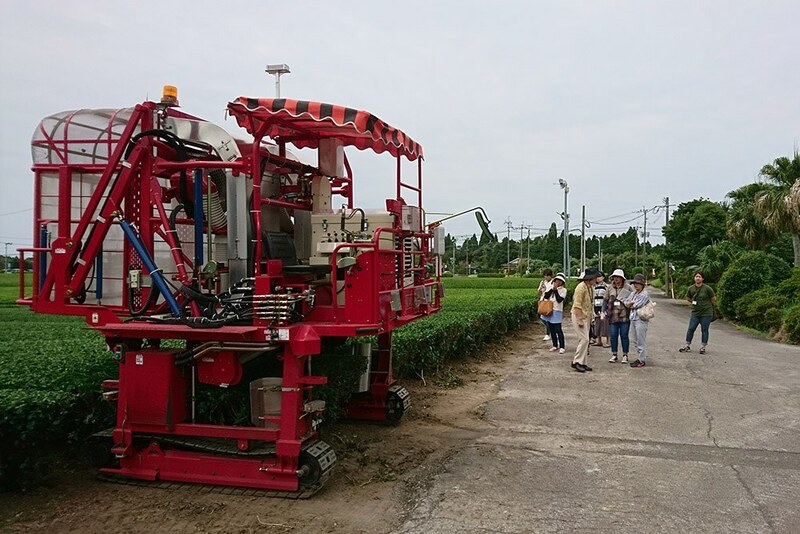 After classroom study, the participants enjoyed the experience of studying in tea fields. 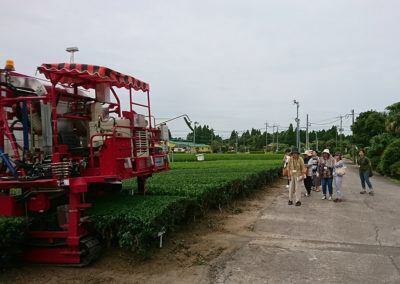 They learned the guidelines for machines used in the production of tea, such as Sencha and black tea. One attendee said “I was able to learn the benefits of Chiran Tea even further. I’m now looking forward to learning how to use tea as a cooking ingredient." Notice: The Chiran Tea brand promotes the drinking of your favorite “Chiran Tea” in daily life! 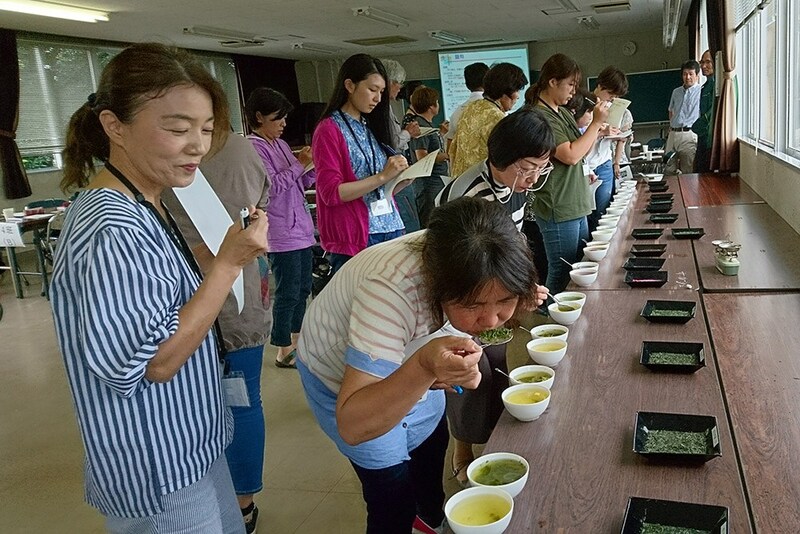 On August the 25th (Sat), the second formation of Chiran Tea advisers took place in Ei Health Center. 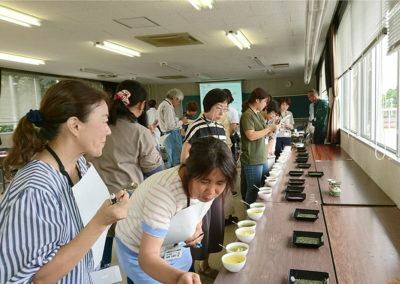 The members of the Tea Industry Women’s Division gave a lecture on the not so widely known applications of tea, such as sweet making, soap making, and lotions. The participants were satisfied and said that they would certainly cook food using tea at home. Only two lectures are left. 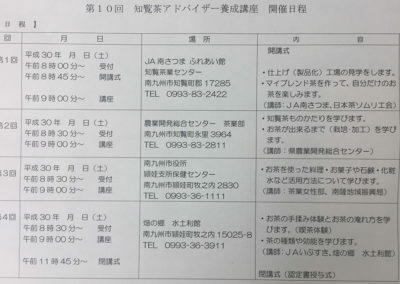 We hope all participants will finish this course and will cooperate with “Chiran Tea” promotion. The recipes for the meals using tea are available here. It would be a great pleasure to us if you were to cook using these recipes. On September the 1st (Sat), the third lecture to become Chiran Tea advisers took place at Hata-no-Sato Midori-kan. 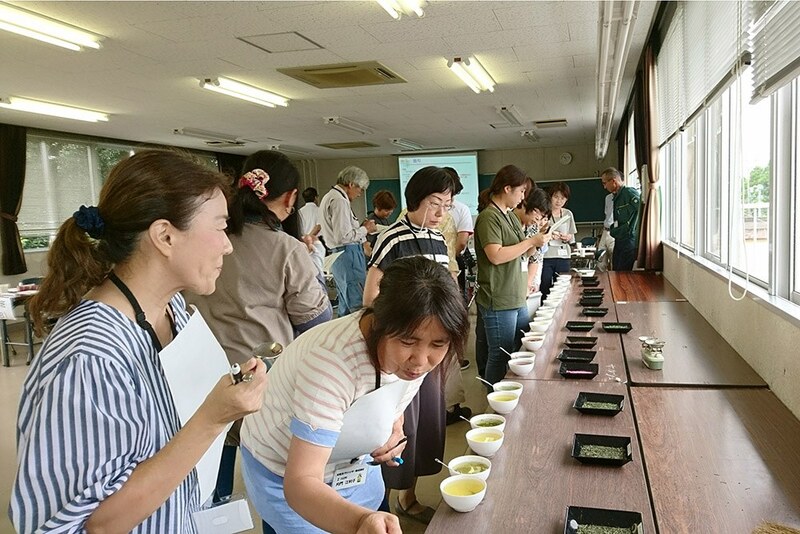 The attendees took part in hand-rolling, learning green tea history, different components and the effects of green tea as they practiced brewing delicious tea. 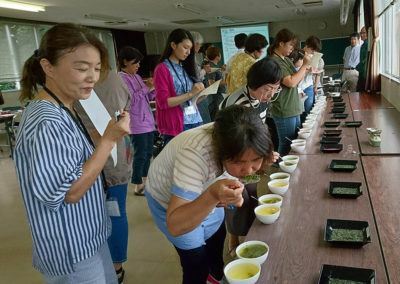 One attendee said with a smile, “I was able to enjoy “Chiran Tea” by hand-rolling it myself and then taste that I had infused the green tea deliciously”. 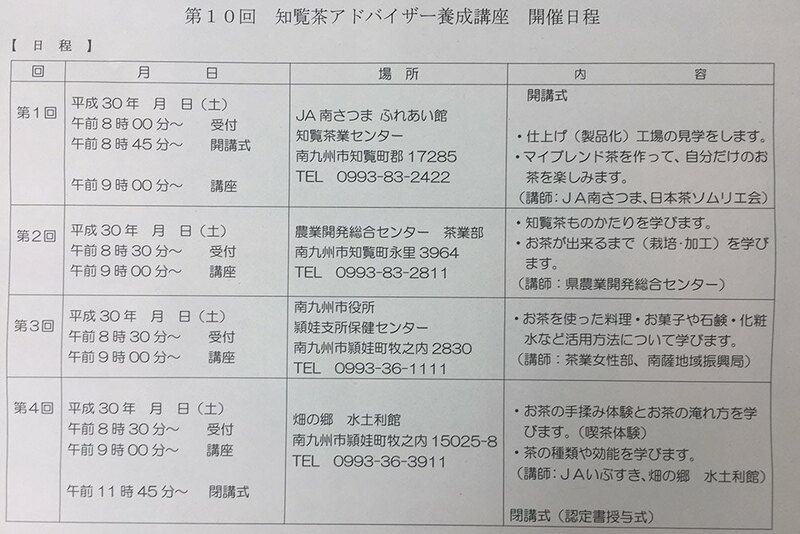 The final lecture will be held next week. All attendees will try blending tea in their own way. 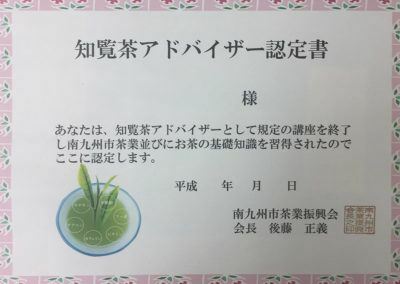 We hope that they will be able to enjoy “Chiran Tea” fully. 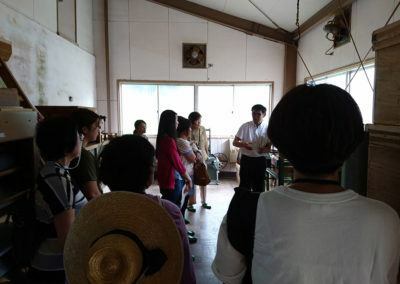 All lectures of the 9th series regarding becoming Chiran Tea advisors were successfully completed and 20 new Chiran Tea advisers were certified. 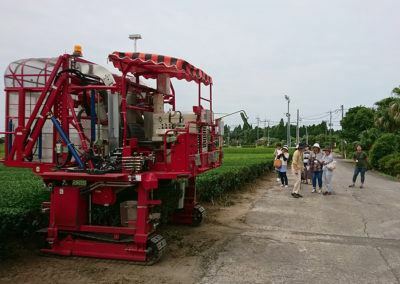 On the last day (September the 8th), attendees visited a finishing factory of the JA Minami-Satsuma Chiran Tea Center. 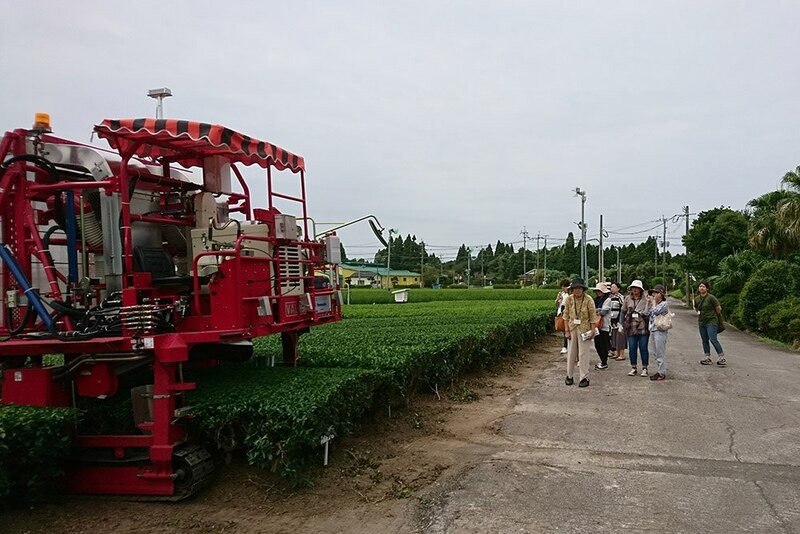 They learned trivia and blended some tea species such as Yabukita, Yutaka and Asatsuyu in their own way. Attendees were delighted with the variety by blending these species. The number of Chiran Tea advisers is 211 in total. We hope that they will deepen their knowledge of tea further and will participate in promotional events to enhance tea consumption with tea producers.